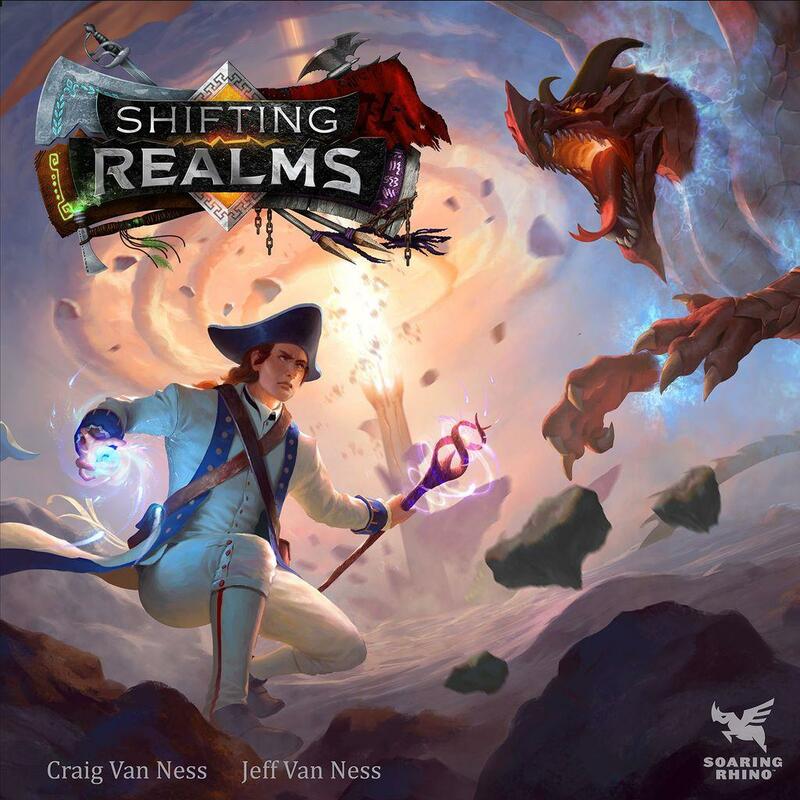 Shifting Realms is a game of colliding realms. Five are included — Elf realm, Dwarf realm, Orc realm, Goblin Pirate realm and Priest realm — each unique in board layout, structures, story cards, tasks, and end conditions. To set up the game, three realms are selected at random, then players take turns until two out of the three realms' end conditions are met, at which point the game ends.